Have you Googled ‘preschool child care’? If so, you’re probably wondering on where to go. At the Childcare Expo, you will find everything you need to aid in your preschool child care training. With fun and insightful seminars and activities, your understanding of this diverse field will be expanded and enhanced. When you are looking for child care seminars for preschool settings it pays to choose the best. At Broadway Events, we specialise in providing unmissable learning opportunities that are simply a cut above the rest. Taking place across the UK, this triannual event will present you with a unique opportunity to learn more about the latest changes within the sector. All those who attend one of our seminars will receive an electronic CPD certificate. At the event itself, we provide free entry into the exhibition, feature areas and workshops so there is no excuse not to explore everything that we have to offer. Our preschool child care exhibition is a fantastic opportunity to discover new and revolutionary products from forward-thinking market suppliers. Not only that, you can meet the people behind the brand who will be happy to answer any questions that you may have. This is a great chance for you to try out products before you buy. In addition, our child care workshops for preschool workers are an amazing way to realise new ways to create a more engaging environment for the children in your care. You will have the opportunity to get hands-on and discover activities that are cost-effective (or no cost at all) and are guaranteed to be engaging. Why choose the Childcare Expo for preschool child care training? Child care is a diverse and complex field with many facets to consider, however, it needn’t be difficult to stay informed and up-to-date. 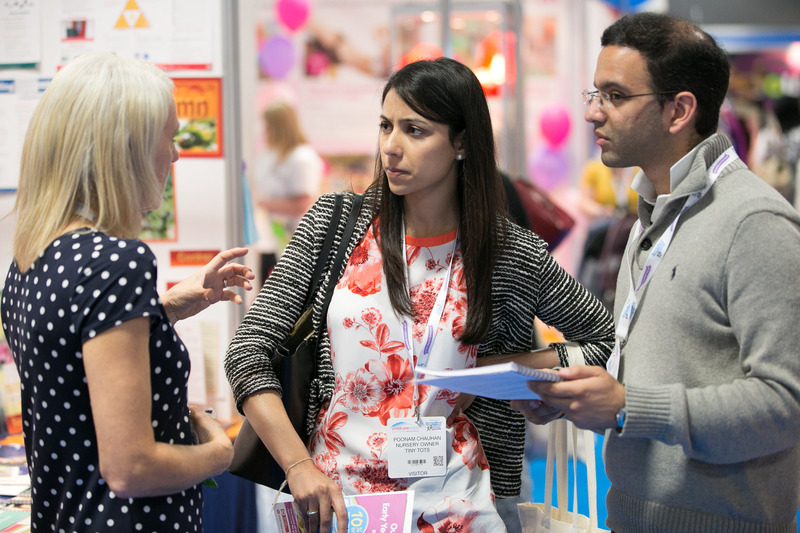 At the Childcare Expo, we have helped hundreds of early years’ professionals discover new and enthralling ways to create a learning environment that is fun and inspiring. Our child care seminars for preschool settings are designed to be dynamic in the way in which they draw you in and immerse you in the experience. Best of all is that all children are welcome which is useful if you are interested in how a child will take to a particular product or idea. With exclusive discounts and offers available all weekend, it is easy to see why we have featured as finalists at the Exhibition News Awards on no less than four separate occasions. If you would like to register your interest in one of our exceptional preschool child care exhibitions, get in touch today.